In my continuing series on the Dumber America, I take a look at the use of Cellphone and Smartphones. I have done some posts on cellphones in the past - Where has common sense gone? and my Pet Peeves. The past decade has seen the use of cellphone and smartphone sales and use dramatically increase. In fact according to this article the number of mobile devices has exceeded the population of the world. Cisco wrote another interesting white paper "The Global Mobile Data Traffic Forecast" All pointing to the increase in use of the internet and mobile devices. An interesting Statistic that I confirmed on the Pew Research center website was tweeted by @susannahfox states: "67% of cell owners find themselves checking their phone for messages, alerts, or calls even when they don’t notice it ringing or vibrating." These sources are reporting data that we as individuals can witness everyday. As an example, we can walk into any Walmart today and see 40% of the people walking and talking on the phone. 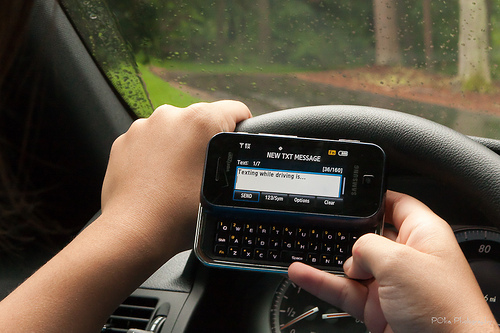 In addition, simply drive around and you will see at least 30% of the drivers either texting or talking on the phone. 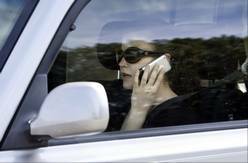 Laws banning cellphone use while driving does not seem to make a difference. Even after the University of Utah came out with a study showing that drivers on cell phones are as bad as drunks.